2nd ODI India vs Australia Adelaide: Former India captain came good on a night India required him to as it was the series on the line. 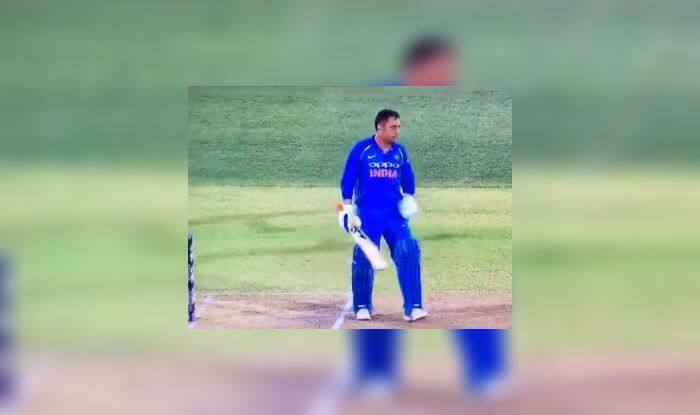 2nd ODI India vs Australia Adelaide: Former India captain MS Dhoni came good on a night India required him to as it was the series on the line. Dhoni’s 54-ball 55 ensured India win the match by six wickets and level the series 1-1. The game at Adelaide went right down to the wire before Dhoni brought all his experience into play and hit a six to deal the deal. But, during his knock, there was a certain moment when he had not completed a run and the umpires failed to spot it. Dhoni had hit the ball down to deep long on and was walking, not even running or jogging. By the time the throw came in, he had reached the other end but had not entered the crease, but no one noticed it. Had the bowler knocked dislodged the bails, it would have been the most unfortunate way to get out. “There is no doubt that he should be a part of this team. Tonight was MS classic. He calculates the game so well. He takes the game till the end when only he knows what’s going on in his mind, and he backs himself to hit those big shots at the end,” Kohli said at the post-match presentation ceremony. Kohli could not take his team home this time but Dhoni and Dinesh Karthik (25 off 14) rose to the occasion with an unbeaten 57-run stand, helping India chase down a target of 299 with four balls to spare.